We don’t know about you, but we could use a mid-week pick-me-up in the form of some beautifully crafted songs. 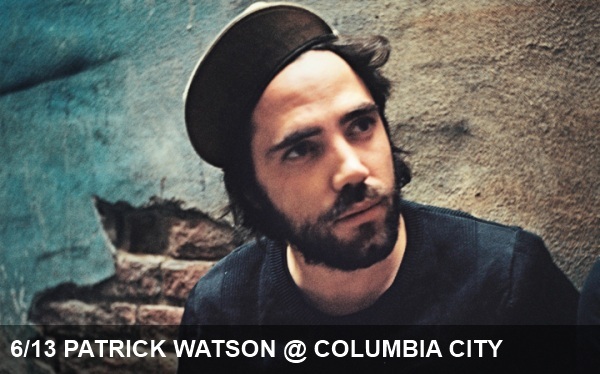 Luckily for everyone, Patrick Watson is playing at the Columbia City Theater tonight. With evocative arrangements that are more complex with every listen, and rich, high-range vocals that would make Bon Iver swoon, the Montreal-based group has been on a slow-but-steady trajectory to international acclaim. They create music that might be better fit for the big screen instead of a small club stage, and frontman Patrick has, in fact, scored film soundtracks in his earlier years as a musician. Both cinematic and classic, Patrick Watson is sure to turn into one of your new favorite artists. Don’t miss Patrick and his band tonight at Columbia City Theater with opener Cat Martino.